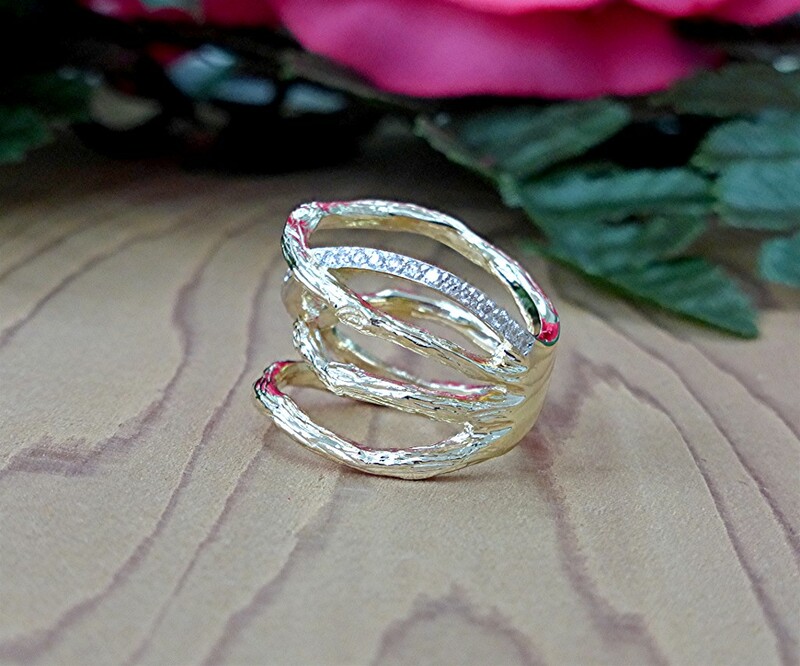 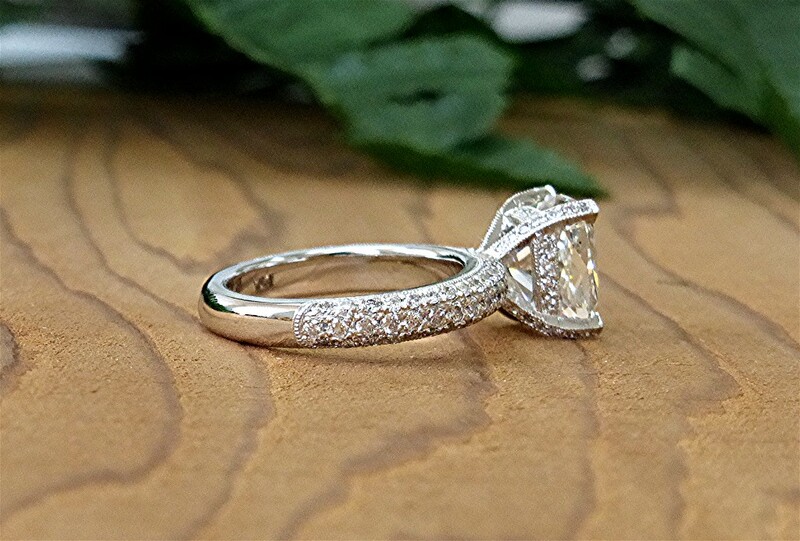 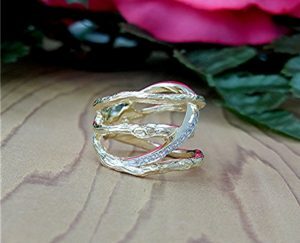 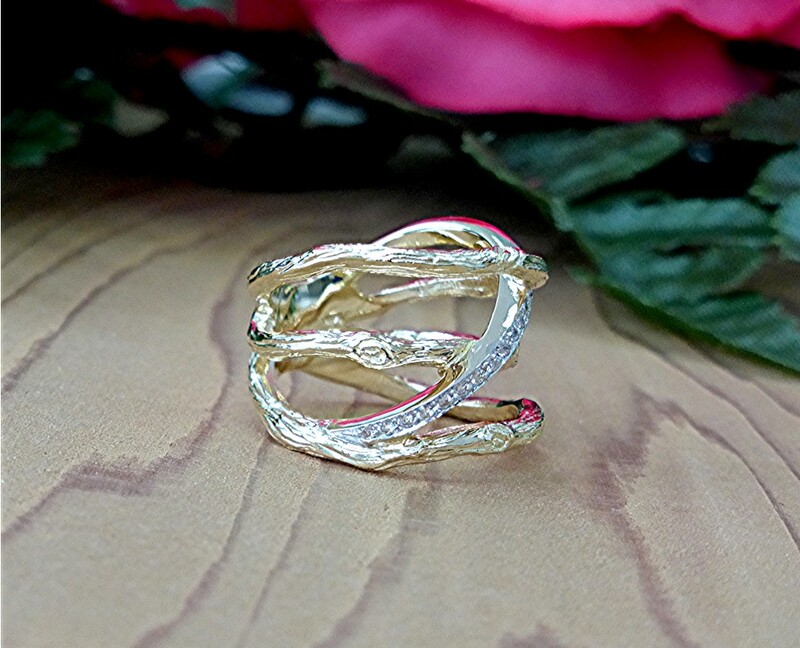 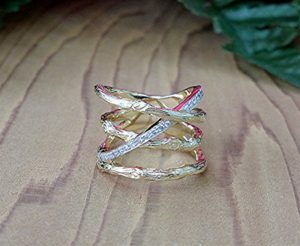 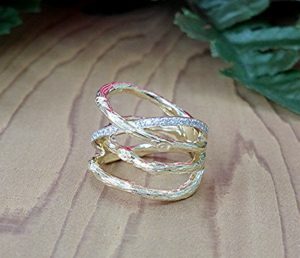 This ring has three bark design shank with one row of RBC diamonds containing 26 pave stone, 14k yellow gold. 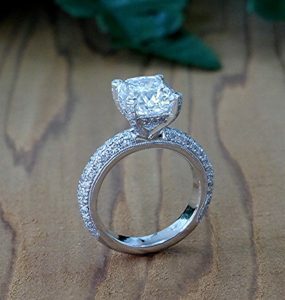 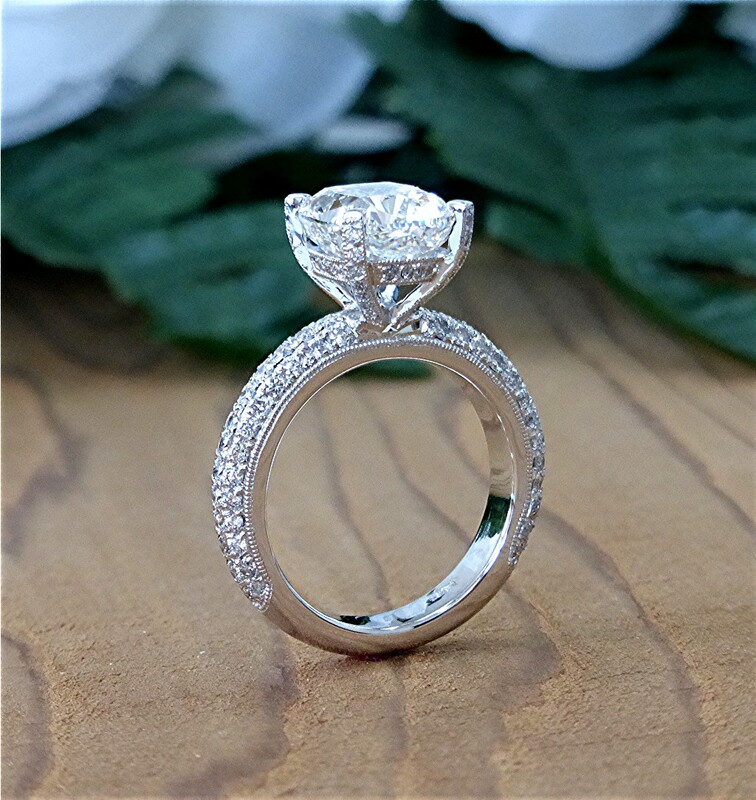 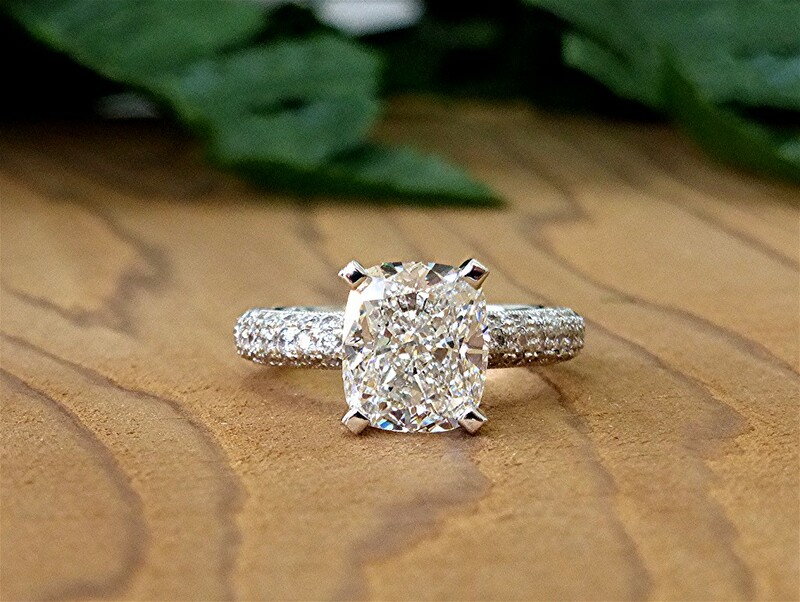 Custom 14k white gold mounting for cushion cut center diamond measuring 8.81×7.53×5.31mm. 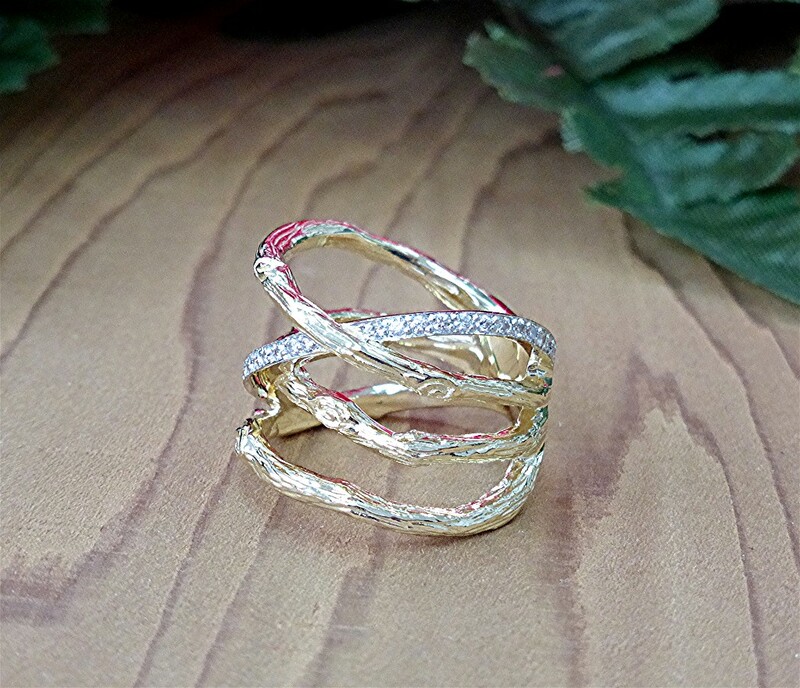 Shank is micro-pave set ¾ around. 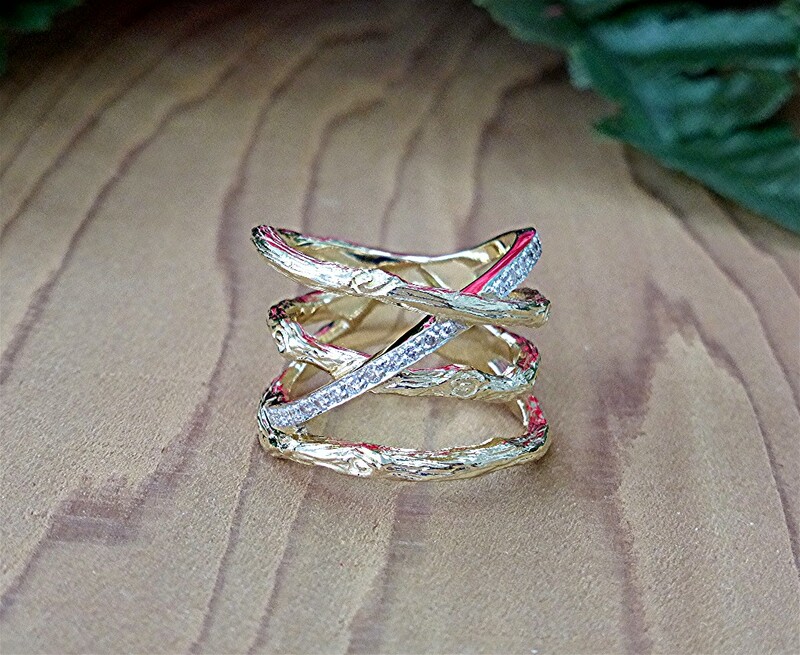 The center basket is also has been bead set with diamonds. 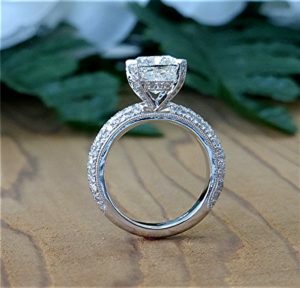 Total 120 round brilliant cut diamond for TDW of 0.79carat is used.